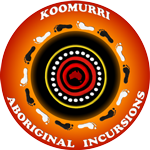 Welcome to Aboriginal Incursions Online Booking Form. To create a smooth booking experience PLEASE FOLLOW THESE STEPS Select Month and Year in the calendar first. Then, click directly on the date number .. Welcome to Aboriginal Incursions Online Booking Form. To create a smooth booking experience PLEASE FOLLOW THESE STEPS Step 1: Select Month and Year in the calendar first. Then, click directly on the ..